Chances Kamloops Casino workers vote for unionization now that Gateway Casinos is at the helm. 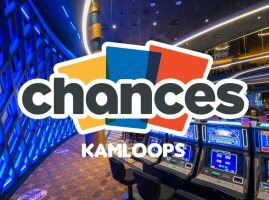 The Chances Casino in Kamloops, British Columbia is a small gaming facility located at 1250 Halston Ave. Opened in 2015, it’s been a popular destination for locals and visitors to the area. It offers a moderate selection of slot machines, electronic table games (no live dealers) and a thriving bingo hall. For more than three years, the locals were happy and the staff morale high. However, when it was announced in mid-January that the British Columbia Lottery Corporation (BCLC) was turning over day-to-day operations to the facility’s new managing operator, Gateway Casinos & Entertainment, those moods soon turned sour. The BCLCs decision to allocate managerial duties to private casino companies was supposed to reduce the regulator’s workload and provide heightened services to casino goers. That doesn’t seem to be the case in Kamloops, where patrons and staff are retaliating the only way they know how. Just weeks after BCLC announced the property’s takeover by Gateway Casinos, the 94 workers who have been ensuring the casino games, bingo hall and restaurant run as a well-oiled machine are looking to protect their rights. Voting 91% in favor of joining the local union, Unifor, it’s obvious that workers are not confident Gateway Casinos will give them a fair shake in the years to come. And who can blame them, really? If we take a look at the history of casino-related union strikes all across Canada in the last two years, we find that Gateway has been involved in a frighteningly high number of prolonged contract negotiations. Unionized staff at Gateway-owned Hard Rock Casino Vancouver returned to work after a 10-week strike that ended when a new contract was ratified in July 2018. In mid-November, a 5-month strike was finally resolved between Gateway Casinos and Kamloops’ other gaming facility, Cascades Casino. 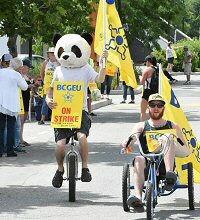 That strike actually involved nearly 700 workers from Gateway-owned Okanagan area properties in Kamloops, Kelowna, Penticton and Vernon. Later that same month, employees of the Grand Villa Casino in Burnaby voted 88% in favor of striking against Gateway. After several weeks of union-led negotiations, a new contract agreement was reached for approximately 1,200 employees of the Burnaby casino and Starlight Casino in New Westminster, narrowly avoiding a strike at those properties. Problems exist at Gateway Casinos in Ontario, as well. Unionized staff at the Gateway Casino Point Edward and Casino Rama are on the verge of a strike after voting in favor of a walk-out late last year. No word yet on whether those strikes will occur. Joining a union at this juncture won’t give employees any stable ground to stand on in terms of striking against Gateway. At least, not yet. Generally speaking, employees must be part of a union for many months before such rights are taken seriously. But it’s obvious that the employees of Chances Kamloops Casino are sending Gateway a message that they expect to be treated with the same respect, wages and benefits as other unionized casino workers in the province. Locals are also skeptical as to how well Gateway will run the property compared to previous years under BCLC’s guidance. The expectations are on the low side, to put it mildly, with fears quality will fall as prices rise. One regular at the venue spoke on behalf of fellow patrons when he said, “Oh well, there goes a good thing”.